Get simple introduction to scuba diving during this PADI Discover Scuba Diving course in Puerto Plata. 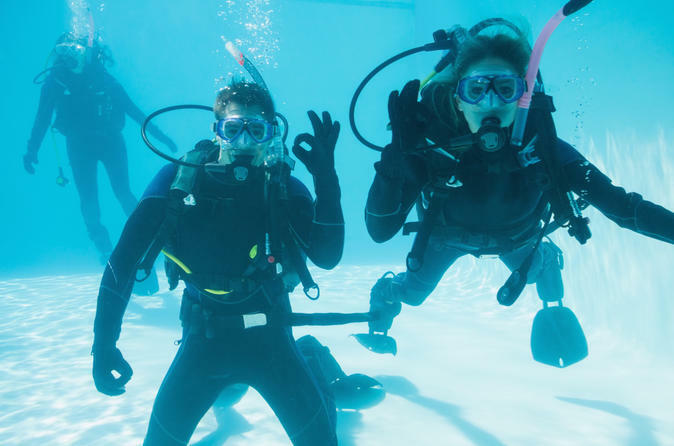 During this 3-hour course, try out the equipment and listen to an overview of diving theory before committing to a full PADI scuba diving course. With your experienced instructor, enter the shallow end of the resort pool to try breathing underwater. Travel offshore for open water dive to explore the exciting underwater world. Use of all equipment is included.